One of the HealthyMINDS Collaborative’s partners, The S.A.F.E. 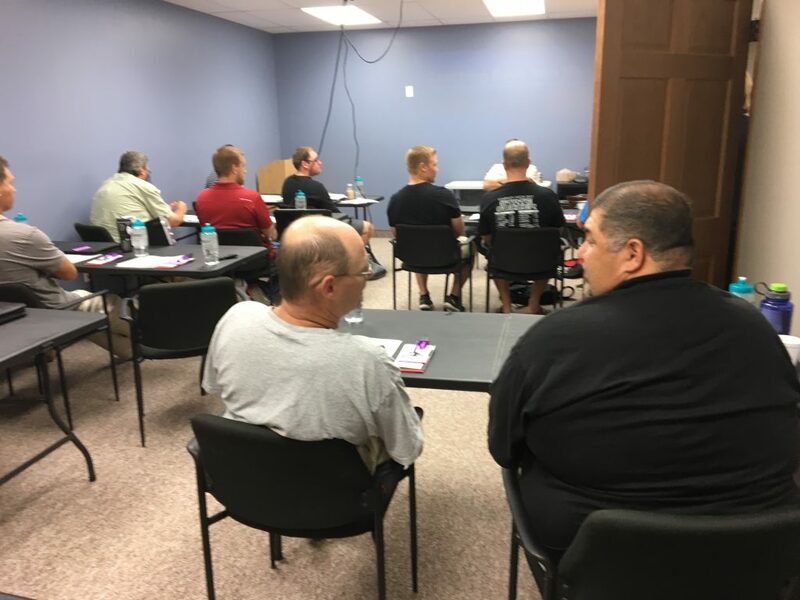 Center, recently hosted Nebraska’s first regional training of Coaching Boys Into Men. This training is a strategy of the HealthyMINDS violence prevention group, who is working together to reduce youth violence in Buffalo County.One of the HealthyMINDS Collaborative’s partners, The S.A.F.E. Center, recently hosted Nebraska’s first regional training of Coaching Boys Into Men. This training is a strategy of the HealthyMINDS violence prevention group, who is working together to reduce youth violence in Buffalo County. Coaching Boys Into Men is a nationally recognized program which focuses on the prevention of violence and took place August 2, at the S.A.F.E. Center in Kearney, NE. Area schools in Buffalo, Franklin, Harlan, Kearney, and Phelps counties were represented at the training. Sixteen coaches from Amherst, Bertrand, Elm Creek, Franklin, Kearney High, Pleasanton, and Wilcox-Hildreth were in attendance and represented football, wrestling, basketball, soccer, golf, and track. Coaching Boys Into Men (CBIM) equips and trains male athletic coaches to use their influence to help high school male student athletes build healthy relationships, identify and prevent sexual and dating violence, and understand and implement bystander interventions. 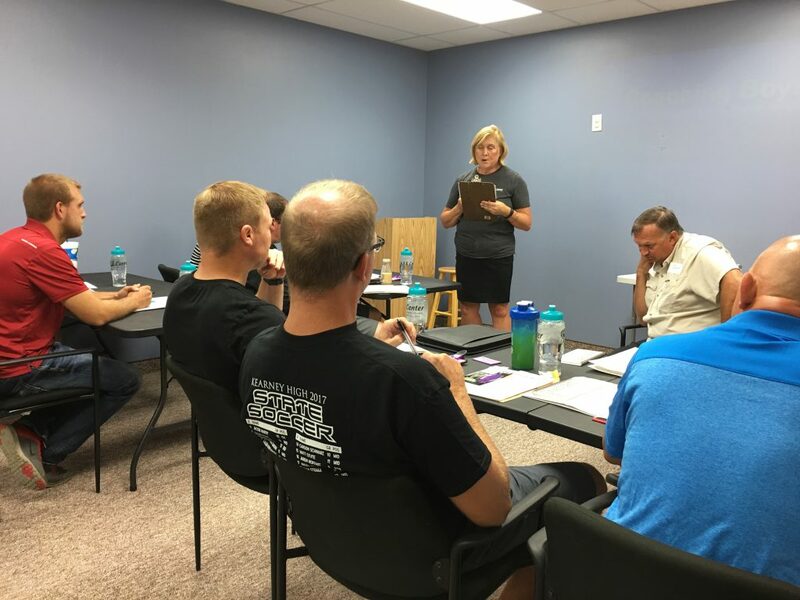 CBIM coaches use their “playbooks” to lead their players through brief (10-15 minute) weekly activities that address issues such as personal responsibility, respectful behaviors, and relationship abuse. Topics covered in the 12 week playbook include teaching strategies to young men so they may understand the impact of insulting language, disrespectful behavior, and digital abuse while also creating an understanding of consent. Coaches and athletes also discuss communicating boundaries, promoting equality, and taking a stand against bullying. After the training, one Kearney High coach shared the following: “Coaching Boys Into Men provided area coaches with easy to use materials and talking points to share with our teams regarding the general topic of character education, and also the specific topic of how our male athletes should respectfully treat women. Giving our athletes the opportunity to ask questions and engage in discussion on these topics will provide some great learning opportunities as we continue to use our various sports to teach lifelong lessons outside of the classroom”. Other comments included “I would like to see this program implemented in all sports at my school.” To learn more about the violence prevention strategies see bcchp.org/HealthyMINDS.